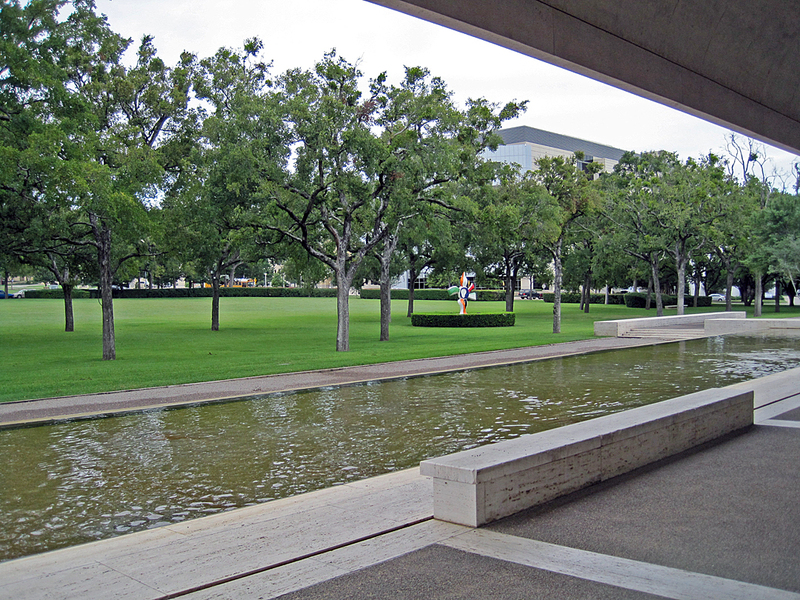 The Kimbell Art Museum was established in 1964 to house the collection of Kay and Velma Kimbell. 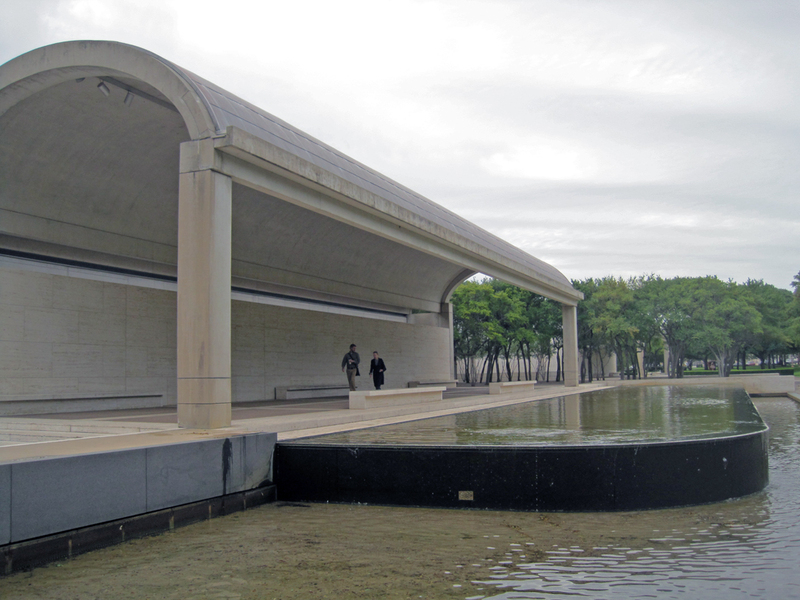 Two years later architect Louis Kahn was commissioned to design its modernist edifice on a 9.5-acre, trapezoidal site in the city’s Cultural District. 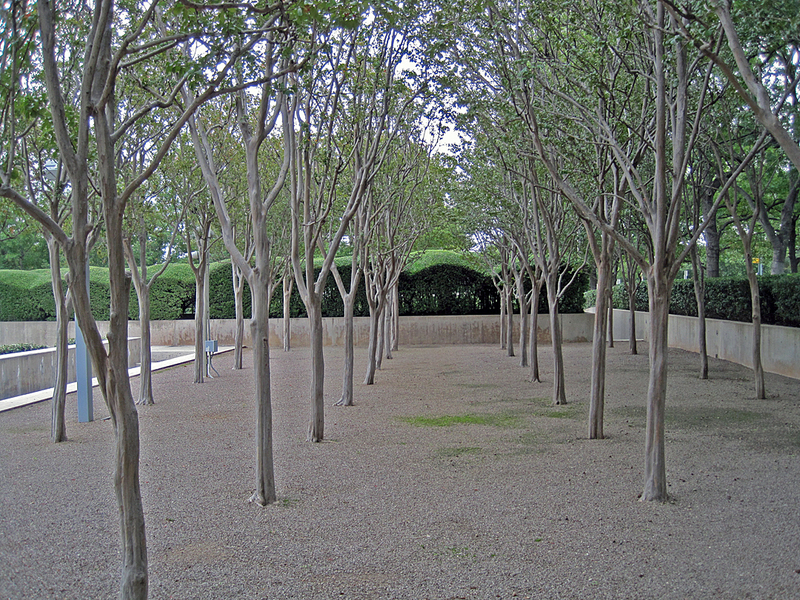 The project is exceptional among Kahn’s three constructed museums for its integrative landscape plan, designed in collaboration with landscape architects George Patton and Harriet Pattison. 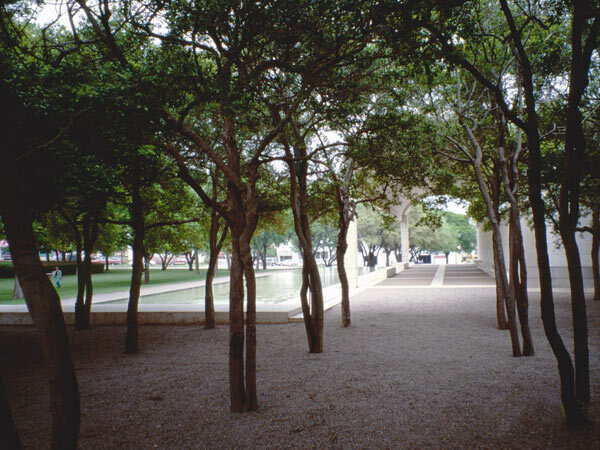 Kahn envisioned the landscape as a prominent component of the site plan, with the museum as a Mediterranean villa set within a garden. The building's barrel-vaulted, naturally lit pavilions are placed on the eastern half of the site, leaving the western half as open space. 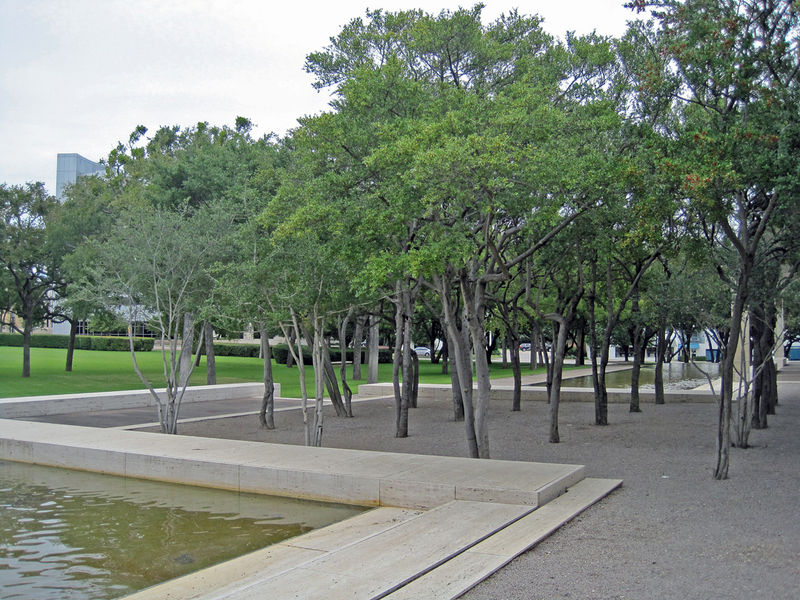 A great lawn edged by deciduous trees opens to the west, separated from the museum’s entrance by a gravel pathway and an allée of elms and yaupon hollies. 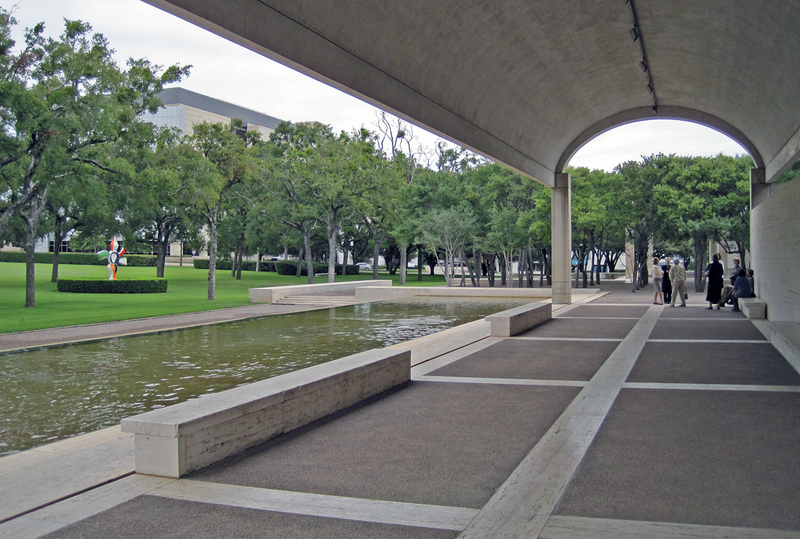 The main approach is edged with turf panels, rectangular pools, and a low travertine wall. 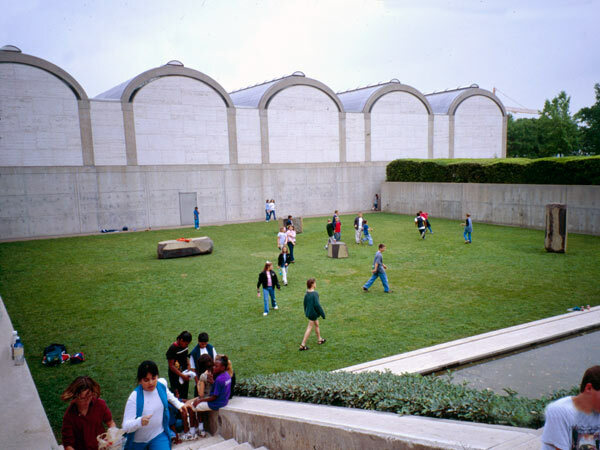 South of the building is a sunken, rectangular court which contains Isamu Noguchi’s sculpture installation dedicated to Kahn. These geometrical “green rooms” complement Kahn’s classical structure, sharing the same peaceful atmosphere as the museum’s interior. The garden’s pools of water and mature trees provide a cool respite from the hot sun. 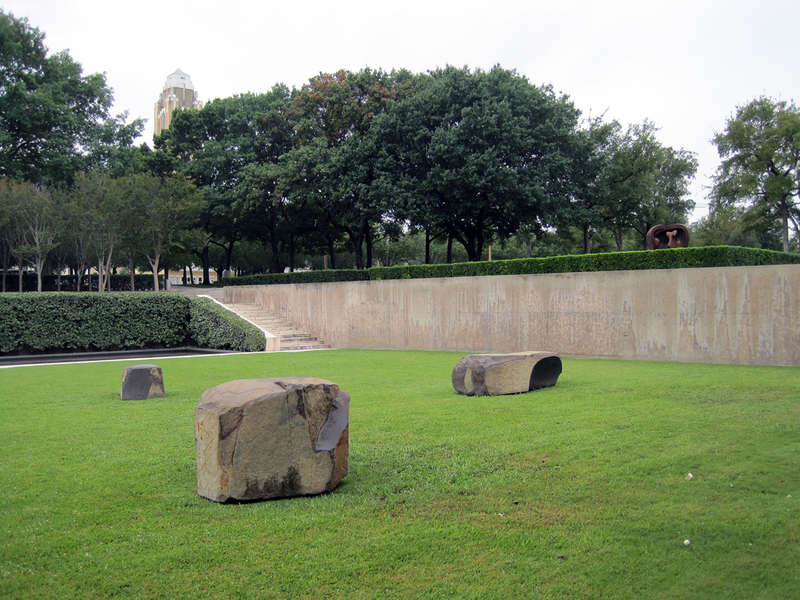 Shouldn’t a Museum’s Collection Include its Designed Landscapes?